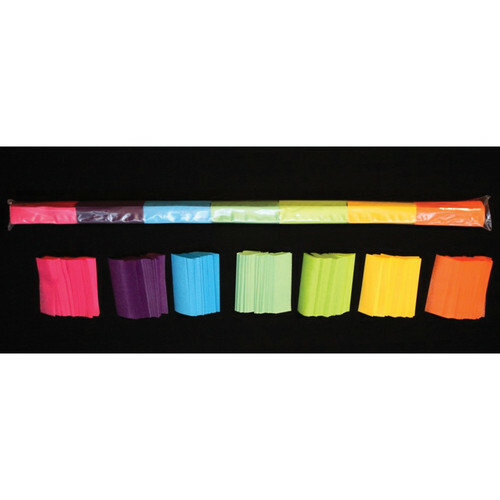 The CITC 255501-22 Tissue Confetti (Multi-Color) is speed loaded confetti, stacked in a soft sleeve. It features primary, jewel pastel, and measures 0.63 x 2.25” (1.59 x 5.72cm). Box Dimensions (LxWxH) 19.3 x 1.0 x 1.0"